The Hilton Honors American Express Business Card really takes care of its members. With rewards such as 12 times the bonus points when you stay at a participating Hilton property; six times the bonus points on certain travel and business purchases (more on that below); and three times the bonus points on your other purchases, businesses with traveling employees who favor Hilton properties would be hard-pressed to find a more beneficial business credit card than The Hilton Honors American Express Business Card. On top of these ongoing rewards earning opportunities, the card features a welcome offer of 125,000 Hilton Honors bonus points after spending $3,000 in the first three months. With all that traveling employees are doing, it's important to note there are no foreign transaction fees and you can also relax with 10 complimentary airport lounge visits each year after a one-time enrollment in Priority Pass Select™, which offers access to more than 1,000 lounges in more than 120 countries (Terms apply. See Rates and Fees). Card members enjoy 10 complimentary airport lounge visits each year through Priority Pass Select™, making your airport experience just a little more comfortable. Earn up to two weekend reward nights each year. Earn bonus points for staying at Hilton properties, but also for everyday business and travel purchases such as purchases at U.S. restaurants and gas stations as well as on U.S. shipping charges and more (more details below). This is a branded card and it does reward your loyalty. If your business doesn't take you to Hilton properties often, you'll likely be better off with a more general small business rewards credit card. 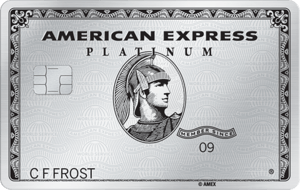 As a cardholder of The Hilton Honors American Express Business Card, you'll be swimming in financial and other rewards. From mountains of points available through the welcome offer to mountains of points available to earn, to weekend reward nights and airport lounge availability, the traveling business person is catered to 24/7. We love this because you're so busy with work that it's nice to reap the benefits in both your business and personal lives. Travel for work, earn up to two weekend reward nights a year for your family (earn the first night after spending $15,000 in a year and earn another night after spending another $45,000 in the same year). It doesn't get much better than that. 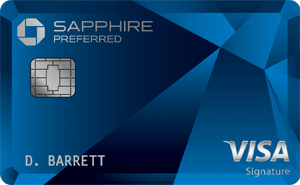 The other aspect of this card that we love is the expense management tools provided to card members free of charge. You can track employees card spending habits, connect your account to QuickBooks, receive a year-end account summary, and even choose a designated account manager, such as your assistant, to handle the business decisions associated with The Hilton Honors American Express Business Card. The other nice feature is the account alerts function, which can notify you when you're near your spending limit, of employee purchases, or even just when your bill is due. As is the case with any branded credit card, your loyalty to the brand really is the key as to whether The Hilton Honors American Express Business Card is the right choice for you. Sure you can earn bonus points in a number of business and travel-related categories, but those points aren't going to be quite as useful to you if you and your employees aren't staying at Hilton properties regularly. If you're just looking to earn bonus points on travel and business purchases, there are more general small business credit cards out there that will reward you handsomely for those purchases without the Hilton brand hanging over your head. Additionally, the bar to earn those weekend night rewards is fairly high at $15,000 in a year to earn the first night and another $45,000 in the same year to earn the second night. This probably isn't the card for the part-time freelancer or contract worker who doesn't really have that many expenses overall. Earn 125,000 Hilton Honors Bonus Points with the Hilton Honors American Express Business Card after you spend $3,000 in eligible purchases in the first 3 months of Card Membership. For those who find the The Hilton Honors American Express Business Card too travel-oriented and would rather receive cash rewards, there is the Ink Business Cash℠ Credit Card. This card offers new members an introductory 12 months with 0 percent APR on purchases (then, 15.49% - 21.49% Variable). It also offers a welcome bonus of $500 cash back after you spend $3,000 in your first three months, and it doesn't charge an annual fee. Cash-back rewards are tracked by a point system, which is easy to use. You'll earn 5 percent back on the first $25,000 spent each account anniversary year at office supply stores and on cellular phone, landline, internet and cable TV services. Earn 2 percent back on the first $25,000 spent each year at gas stations and restaurants and 1 percent back on everything else. The Chase Ultimate Rewards® points are transferable among different Chase products, so if you already have a Chase card in your wallet, it could pay to stick within the Chase family. However, if you travel internationally for business, be aware that the Ink Business Cash℠ Credit Card might not be for you – it comes with a 3 percent foreign transaction fee and compared to no foreign transaction fees with The Hilton Honors American Express Business Card. The Hilton Honors American Express Business Card and the CitiBusiness® / AAdvantage® Platinum Select® World Mastercard® both charge an annual fee, but Citi waives it for the first 12 months (Citi is a CardRatings advertiser). Both cards offer the opportunity to earn a significant chunk of rewards as a welcome offer and, of course, reward you at the highest rate when you spend within the respective brands. The real difference comes down to your loyalty and your needs. If you have airline loyalty, but not so much hotel loyalty, the CitiBusiness® / AAdvantage® Platinum Select® World Mastercard® is likely a better bet. The benefits include receiving a free checked bag on domestic travel itineraries, preferred boarding and a 25 percent discount on eligible in-flight purchases. Plus, you'll earn two AAdvantage® miles for every eligible $1 spent with American Airlines as well as with telecommunications merchants, cable and satellite providers, car rental merchants and at gas stations and one mile for every $1 spent elsewhere. Depending on where your travel takes you, round-trip reward flights are available for as few as 11,000 miles. Plus, for a limited time new cardholders can earn 70,000 bonus miles after spending $4,000 in the first four months. The Capital One® Spark® Miles Select for Business gives The Hilton Honors American Express Business Card a run for its money in that it is a travel card, but there aren't any specific brands to think about. It offers 1.5 miles for every $1 spent, has no annual fee and offers an introductory 0 percent APR on purchases for 9 months (then, 15.24% - 23.24% (Variable)). Although it doesn't come close to The Hilton Honors American Express Business Card in terms of bonus rewards, it does offer 20,000 miles once you spend $3,000 in your first three months as an account holder. In the long run, The Hilton Honors American Express Business Card will earn you more rewards, but those rewards are only as good as your loyalty to the Hilton brand. If you're looking for flexibility, the Capital One card is likely the better choice. The Hilton Honors American Express Business Card is a solid choice for anyone who likes to lay their head on a Hilton pillow when they travel for business and appreciate being rewarded for buying things as simple as gas for your business driving. Plus, those opportunities for weekend reward nights will have you dreaming of weekends away with family and friends or at least keeping some money in your business bottom line.